Arthur and his wife, Frankie. Arthur is known for being a pioneer in the early days of the American Quarter Horse breed. Furtidy was the first registered horse that Arthur bought in 1940. Tom’s Twin Bar by Tom Baker, another home-raised stud that Arthur kept to preserve the foundation bloodlines. Tom Baker’s bloodlines remain in Reeves Quarter Horses today. Fancy Roan Bar by Roan Bar, another Reeves stallion who played his part in an enduring line of South Dakota ranch and show horses. Arthur Reeves left home in 1925 when he was but 12 years old and went to work for Clyde Miller on his ranch in Texas. By 1934 he was "working interest" for Ray Brownfield, not drawing wages but running the ranch and working to run his own cattle on the place. 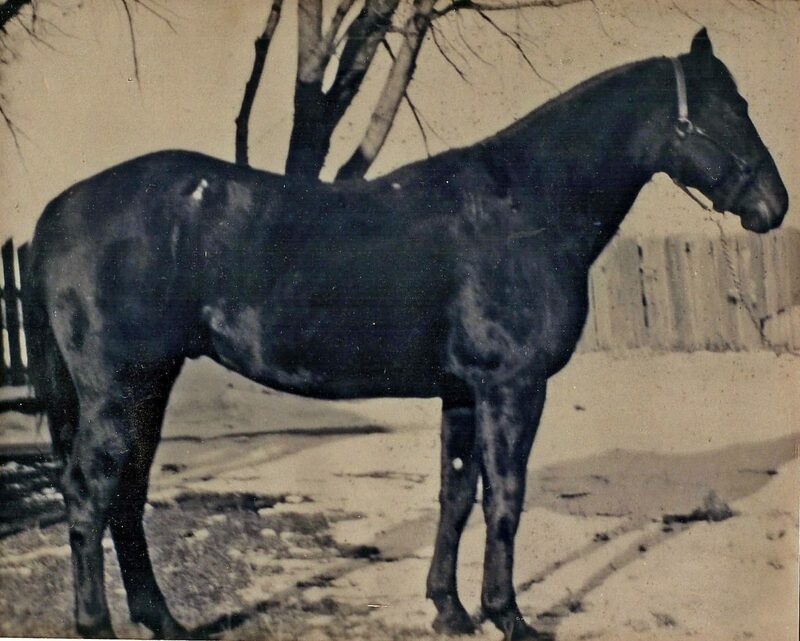 Brownfield retired in 1940 and gave Arthur the gift of 63 Thoroughbred mares. 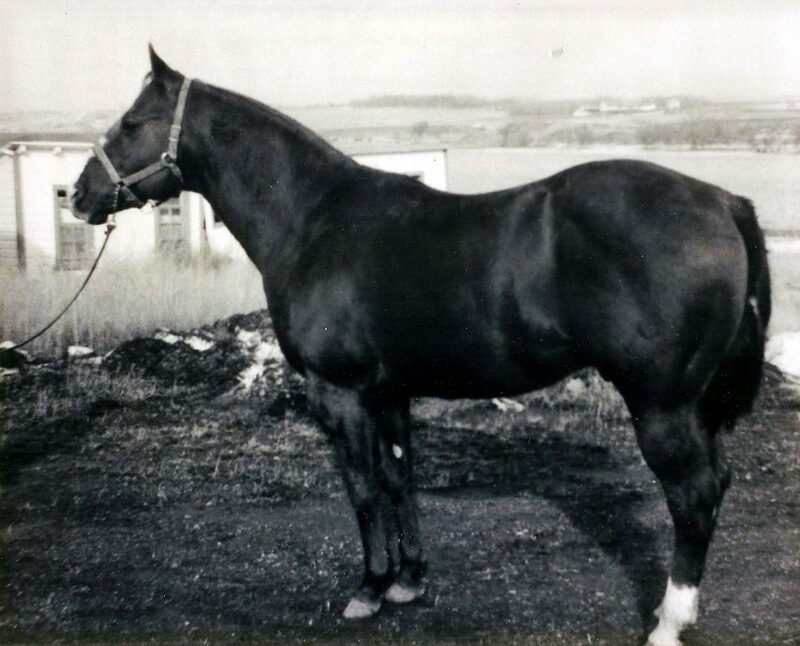 Arthur bought one Thoroughbred stallion, Furtidy, from Brownfield. Shortly after, Arthur moved his family to Trinidad, Colorado where he ranched and trained racehorses for several years. 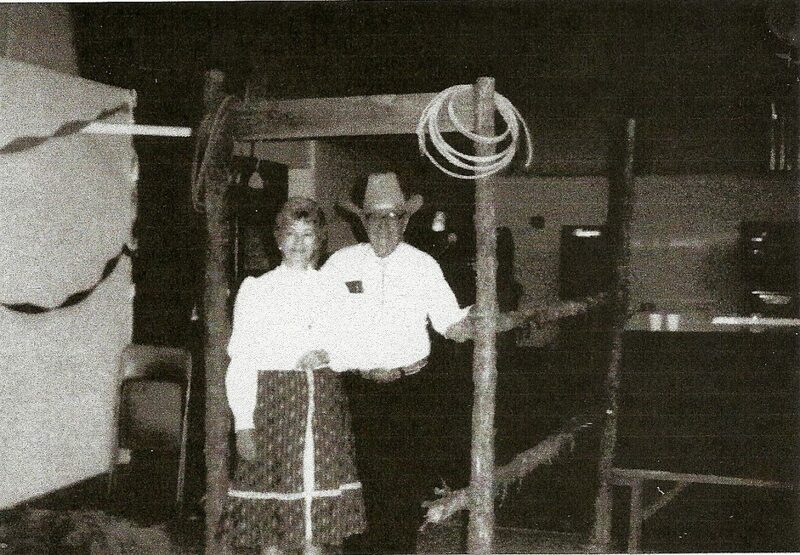 "He came to South Dakota with two guys that were judges for the AQHA and he called back and said there was more grass in the borrow ditch than we had on our whole ranch in Colorado," says his surviving son, Gene Reeves. "So he leased an outfit and we put the mares on a train with a jockey that worked for us." 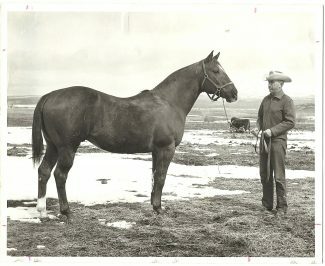 In 1949 Arthur unloaded his mares at Midland, South Dakota and trailed them almost 90 miles to his new ranch, north of Dupree. For over 50 years until his passing in 2004, Arthur bred registered Quarter Horses in South Dakota and was honored by the South Dakota Quarter Horse Association last January for doing so. "He had a good reputation with horses," says Reeves. "I never realized this, but they say there are 17 breeders who have his bloodlines in their programs." Arthur was instrumental in the founding of the National Quarter Horse Breeders Association and was named a director of the new group. 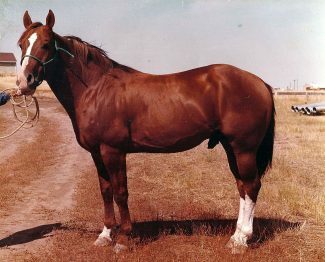 Later, when the American Quarter Horse Association absorbed the NQHBA, the 63 Thoroughbred mares that Arthur got from Brownfield were transferred into the new association on a temporary basis, on the condition that they each threw three colts that passed AQHA inspection before they could become permanent. 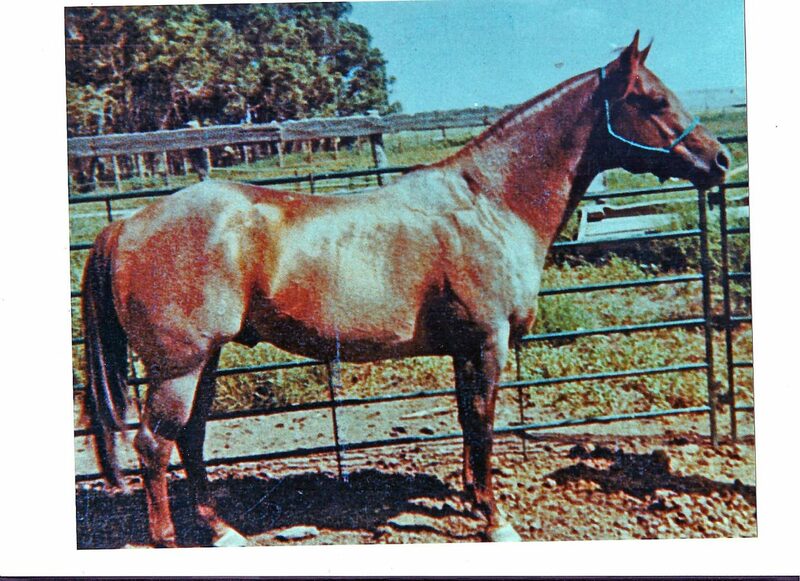 He bred the mares to Harmon King, a Quarter Horse stallion by Harmon Baker Jr and of course, the mares eventually became officially registered in the AQHA database. "He was uncanny that way," says Reeves of his father. "He could damn near tell you what that colt was going to be before it was born." During drought years, he went south to buy a truck load of mares, all the while, Gene thought his father had gone crazy. The mares he bought were thin and poor, but Arthur could look at a thin horse and tell you what it was going to be when it got fat. He could look at a mare and a stud and say what the colt would turn out to be as well. He was also a walking history book when it came to American Quarter Horse pedigrees. He could rattle off the pedigree and ownership of any horse, in part because he had seen most of the old foundation horses and competed against them when he was young. He owned a complete collection of the American Quarter Horse Journal, and Gene laughs that it was probably the only book he read all the way through. 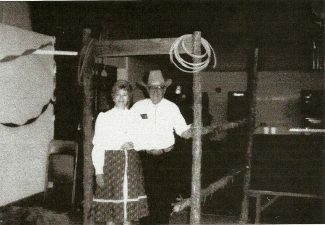 While working for Clyde Miller in Texas, Arthur attended a horse sale in Lubbock with his boss. Miller was looking at a young stallion that was consigned to the sale that day, but there was another horse not in the sale, that caught Arthur's eye. That horse was Bartender. Miller bought the sorrel stallion and it wasn't long before Arthur owned one of Bartender's greatest sons, Bar Nothing Springer. "They bred three mares to Bartender and dad had rode all three mares so he knew which colt to pick," says Reeves. Bar Nothing Springer is remembered as being one of the first sons of Bartender to establish his own reputation as a sire. Then came Tom Baker by Little Tom B by the well-known foundation Quarter Horse sire, King, and Roan Bar by Bar Nothing Springer. From then on, Arthur never strayed from Tom Baker and Roan Bar's bloodlines. On average, Arthur registered around 50 colts per year. Some years he would be up to nearly 80, and some years down to about 20. His numbers often fluctuated so much because more than once, someone would buy a colt and come back wanting to buy it's mother. Every colt that was born on Reeves' ranch was started to the point that Arthur could see what they were going to make, especially the fillies. He would then take the top end of his fillies and put them in his broodmare bunch. "I remember when I was a kid I damn near hated going near the corral because I knew I would get put on a yearling or a 2-year-old," says Reeves. "But every horse got rode. It might take but two weeks, but he knew what they were going to be from that. We had to break every filly colt and if she didn't turn, if she wasn't up to his specifications, she went down the road." Because of his ability to know what his crosses would produce, Arthur succeeded in linebreeding his horses. When he chose to keep a colt for a stud prospect, it had to be something outstanding. "He didn't keep them only on bloodlines," says Reeves. "If he kept one for a stud, he had to have a good disposition, be free traveling, have some speed and be damn near a show horse, but more of a running type with a lot of muscle." Arthur received the AQHA Legacy Award in 1998 and was the 2001 Horseman of the Year from the South Dakota Horse Council. Shortly before his passing he sold most of his broodmares to his son but he remained in the horse breeding business with 25 mares and some studs until the very end. "We've stayed with the same type of program that he was running," says Reeves of his own horse breeding program, built mostly of stock that goes back to his father's foundation bloodlines. "When you grow up around it all the time, you don't think nothing about it, but when I look back now, I wish to hell I had paid more attention. If I had listened to him, I'd be in a hell of a lot better shape today as far as horses go and anything else."